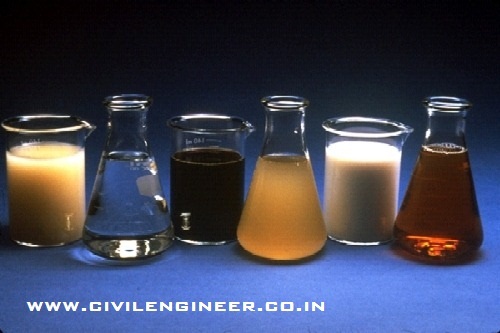 Admixtures shall be selected carefully to alter the concrete properties to the requirement of job at site and shall be used judiciously according to specification and method of application to avoid adverse effect on concrete properties at fresh and hardened strata. After selecting the product, one should carefully choose the supplier, who can supply quality product, timely service and at competitive price. The compare shall be reputed one and time tested the business, shall possess the staff with efficient and professional experience who can guide on effective application/use of admixture in right way. The admixture shall be supplied with test certificate, manufacturing date and its chemical composition, shall comply specifications given by the authorities. i) Accelerators : Admixtures which are used to speed up the initial set of concrete is called an accelerator. The advantage of these admixtures are either to increase the rate of hydration of cement or to shorten setting time results in early strength development, removal of shuttering, reduction of curing period and specially when concrete used in low temperature and marine construction. The common accelerator is Calcium chloride and rarely Tri-ethanolamine, Carbonates, Silicates etc., used. However the use of Calcium chloride is not permitted in Pre-stressed concrete whereas in other concrete it is restricted to 1.5% by eight of cement content. Mechanism : According to investigations, the essence of hardening intensification is CaCl2 as a catalyst acts on hydration of C S results in increase the rate of setting and strength development. It also established from the figure 1 that the CaCl2 accelerate the setting time considerably. (ii) Retarders: The function of retarded is to delay or extend the setting time of cement paste in concrete. These are helpful for concrete that has to be transported to long distance in transit mixers and helpful in placing the concrete at high temperatures, specially used as grouting admixture and water reducers results in increase of strength and durability. The commonly known retards are Calcium Ligno-sulphonates and Carbohydrates derivatives used in fraction of percent by weight of cement. Mechanism : The mechanism of set retards is based on absorption. The large admixture anions and molecules are absorbed on the surface of cement particles, which hinders further reactions between cement and water i.e. retards setting. Later as a result of the reaction between the organic salts and C3A for cement, the former are removed from liquid phase of system, thus eliminating further retardation. The figure 2 shows the effect of retards on setting. The water reducing admixture are group of products which posses concrete of a given workability as measured by slump or compaction factor at a lower water-cement ratio than the control concrete. (i) a reduction of the interfacial tension. (iii) protection sheath of water dipoles around each particles i.e. mobility of fresh mix becomes greater, partly because of reduction in inter-particle forces and partly because of water freed from the restraining influence of the highly flocculated system which is now available to lubricate the mixture. Hence less water is required to achieve given consistency. Mechanism : The H R W A consists off very large molecules normally anionic in nature, are thought to be absorbed on to the cement particles become negatively charged and subsequently dispersed in the water, similar to the action of WRA. However the H R W A produce a much higher degree of dispersion and do not lower the surface tension of water significantly. The figure 3 shows the mechanism of Superplasticizer with cement and water. iv) Air Entraining agents : These are generally used to improve workability, ease of placing, increased durability, better resistance to frost action and reduction in bleeding. The common Air-Entraining agents are natural wood resins, neutralized vinsol resins, polyethelene oxide polymers and sulphonated compounds. Mechanism : These are anionic, because the hydrocarbon structures contain negatively charged hydrophilic groups, such as COO, SO3 and OSO so that large anions are released in water. Conversely, if the hydrocarbon ion is positively charged, the compound is cation active or cationic. In other words, anionic surface active agents produce bubbles that are negatively charged, cationic charged cause bubbles to be positively charged, surface active agents of all classes can cause air entrainment in concrete, but their efficiency and characteristics of air-void system vary widely. You have great info on your site. I’m using your site to study my lessons.